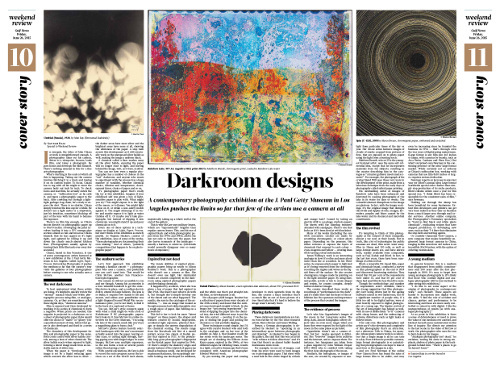 Gulf News Reviews "Light, Paper, Process"
Added on July 14, 2015 by ROSEGALLERY. "A contemporary photography exhibition at the J. Paul Getty Museum in Los Angeles pushes the limits of the medium so far, few of the artists use a camera at all." To best understand what these artists are doing, it’s helpful to quickly review the “normal” manual black-and-white photographic process using film, or analogue, cameras. Or, as they are sometimes called these digital days, “chemical cameras”. 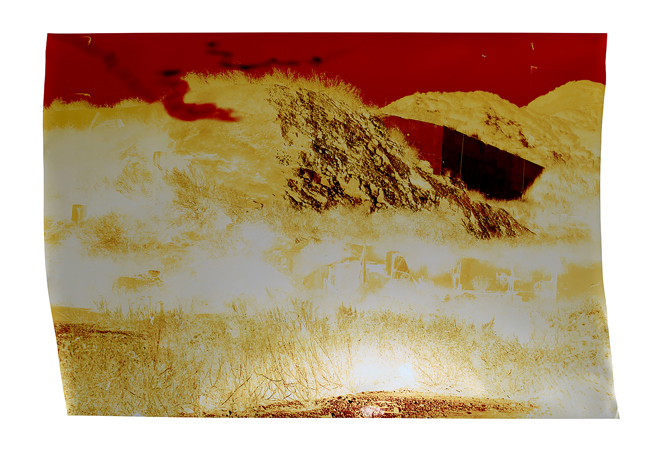 Film is exposed and then developed by washing it in a series of chemicals to form a negative. When prints are needed, this negative is projected in a darkroom onto a sheet of photographic paper (labs would offer the choice of ‘matte’ or ‘glossy’) for a specified amount of time, before that paper is also developed and fixed in a series of chemicals. A chemical called a fixer washes away all the silver halide, ensuring the paper will no longer react to light, and leaving behind the image, writ, as it were, in silver. 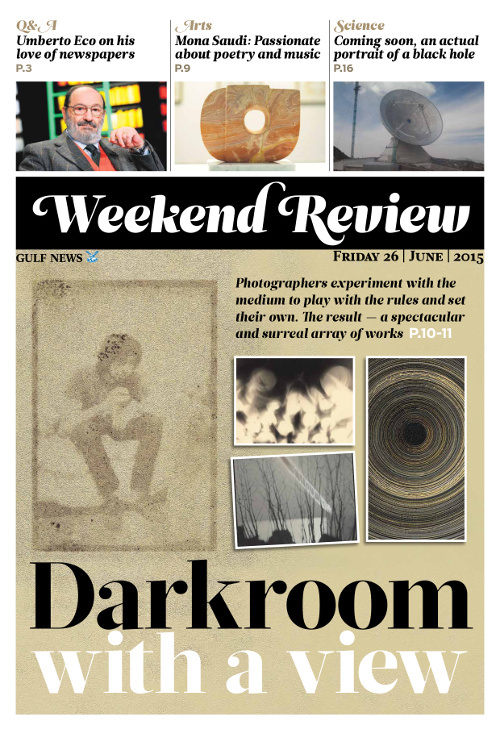 You can see how even a regular photographer has a number of choices in the “wet” darkroom, and anyone who wants to experiment with the process has a huge number of variables, whether chemical choice, dilution and temperature, development times, choice of paper and so on. It’s photographic paper that’s really the toy at this exhibition. Imagine if your childhood self was given a box of light sensitive paper to play with. What might you try? You might expose it to the light of the moon, or to flames. You might light a fuse on it, or strike a non-safety match against it. You might submerge it in water and maybe expose it to light as water trickles off it. Or maybe you’d take photographs, but instead of dipping it into chemicals, you might stand it up and pour chemicals onto it. Every one of those options is a technique on display at Light, Paper, Process, but don’t think of the exhbition as merely playful. As Virginia Heckert, curator of the exhibit, says of some of the works, “these photographs are documenting their own making.” And of others, “painterly compositions that happen to be on photographic paper”.